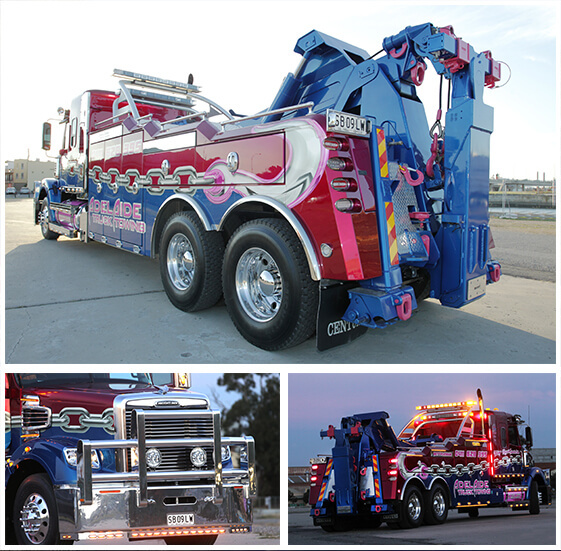 Adelaide Truck Towing has all your towing needs covered, no matter how heavy your vehicle is or where you’re located. We are Heavy Truck Towing Adelaide happily tend to almost all towing requests, whether they’re for an abandoned vehicle interstate or a heavy truck that needs repairs right here in Adelaide. Thanks to our fleet of modern, state-of-the-art tow trucks, we are able to pull trucks, trailers, excavators, forklifts, speedboats and everything in between. Our team is made up of experts with years of knowledge and experience under their belts, so we specialise in Heavy Duty Towing transporting vehicles swiftly and competently, without causing any damage. In addition to Heavy Duty Towing commercial vehicles for roadworthy certificates, we are able to transport heavy and commercial vehicles between depots and repair workshops, collect them from the road when they’ve broken down, or simply take them to another location if their driver can no longer drive. Whatever your situation, professional and caring assistance is only a call away with Adelaide Truck Towing.